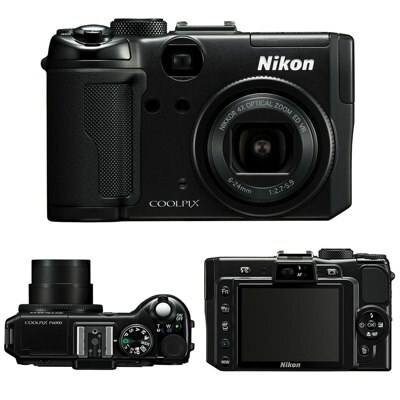 This post is a collection of Nikon Coolpix P6000 key information, specifications and resources. The Coolpix P6000 was announced on August 7th, 2008. I think the handgrip looks absolutely gorgeous. COOLPIX Picture Control NRW (RAW) files can only be processed in-camera. NRW (RAW) files are compatible for use in-camera, with ViewNX (Windows version only available early October 2008) or with WIC (Windows Imaging Component)-based applications. Capture NX, Capture NX2 and NEF files are not compatible with NRW (RAW) images. 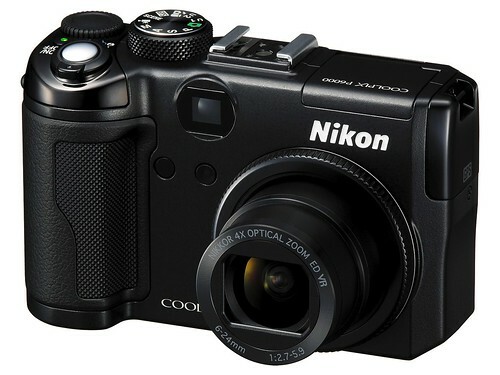 Personally, I’m disappointed in Nikon’s Coolpix efforts since the 8800, and the P6000 actually increases that disappointment. 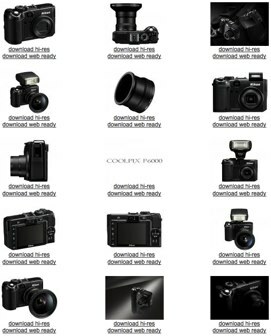 My advice is to look at the Ricoh GX-200 and the Panasonic LX-3 if you want a quality compact camera in the near term. Both have true raw support. Both are excellent, photographer-centric cameras. And with care using raw conversion, both produce fine results at low ISO values. Looks like I need a new Coolpix bumper sticker to add to my collection: Skip the P6000. The P6000 is the world’s first consumer digital camera with a built-in ethernet port for connecting the camera to the internet. 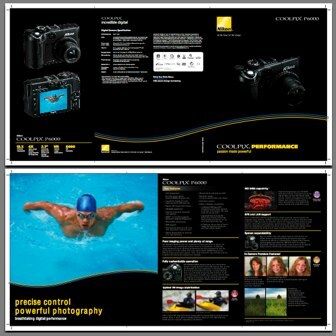 Download the Nikon P6000 product brochure (right-click to save the 441.27 KB online PDF document to your hard disk). Here’s a better photo of the rear of the P6000. The built-in accessory shoe supports the use of Nikon’s advanced i-TTL flash control for external flashes (also known as Nikon’s Advanced Wireless Lighting, or Creative Lighting System (CLS for short). The commander function of the Speedlight SB-900 and Wireless Speedlight Commander SU-800 also enables wireless control over one group of remote Speedlights. And the Wireless Remote Control ML-L3 enables remote shutter release. Wireless Lighting is available only for group A and requires the use of SB-600 or SB-900 Speedlights as the remote units. In the comments, “SPS” says that he managed to use the SB-800 on a pre-production P6000 and get CLS functionality. “SPS” is probably Sasa Pahic Szabo who, in this post, mentioned that the RAW file size on the P6000 is about 20 MB (that’s HUGE). More information on using the wireless CLS system with the P6000 can be found in the comments to the post “Can’t use SB-800 for CLS with the Nikon P6000?“. Video is at 640 x 480 — too bad we don’t get 1080p HD (high definition) movie capture bliss on the P6000. The sensor size is 1/1.7 inch. Aperture range of the lens is f/2.7 at the wide end, and f/5.9 at the telephoto end. Zoom range: 28-112mm. The focal length range starts at 28mm which is nice and wide. For me, all digital cameras should start at this minimum. ISO goes up to 6400 — I think that’s a little ambitious. Works with Nikon’s ML-L3 wireless infrared remote control. You get to mount Nikon Speedlight Flash units on the P6000’s hotshoe. John Biggs writes that the P6000 will have Global Positioning (or GPS) technology for geo-tagging photos. 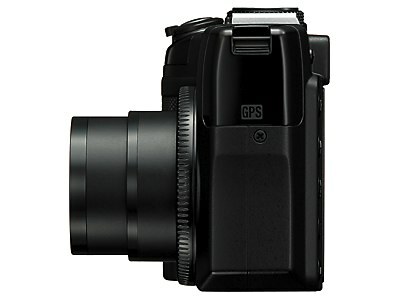 Availability of the P6000 is slated for September 2008 and the camera will be priced at $500 USD. 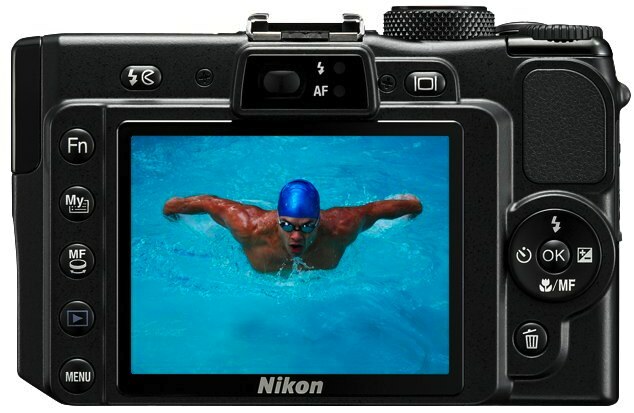 Update: Check Nikon P600 Price and Availability for the latest information. The RAW file format for Nikon COOLPIX cameras is compatible with Microsoft’s Windows Image Component (WIC) codec, allowing images shot in RAW format to be opened and edited in ViewNX (Windows version only), or in other applications that support WIC. This P6000 site describes the key features, technical specifications, compatible flash guns and accessories. “Wow — that’s good news, thanks! “could you upload a raw file to rapidshare or other free host? everybody wants to see that that new raw is about. “Anyone knows where I can download the NRW codec? “Will the RAW format work with Adobe Lightroom 2.0 ? “I wonder if the P6000 is fully compatible with R1C1 macro set. Another question is the filter thread in mm of the lens adapter to see if I can attach one of the R1C1 converters. The P6000 could be a nice lightweight macro set.